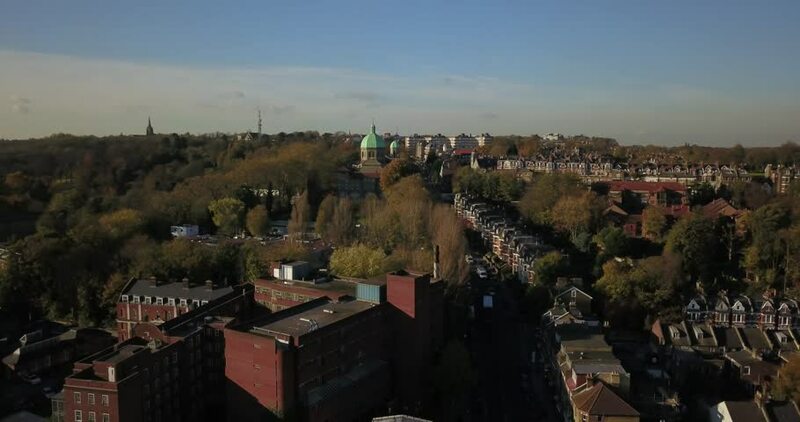 Aerial drone flight around St. Josephs R C Church in Highgate, North London, England, on a sunny day. 4k00:42Aerial Shoot Sankt Petersburg flying roofs . Nevsky Avenue . Russia.